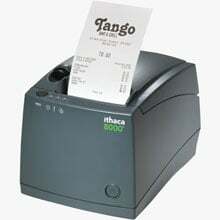 Print anything from receipts, grill, and beverage labels with a single printer. The Ithaca 9000 thermal is the 3-in-1 workhorse that delivers the ultimate in printing flexibility and cost efficiency. The Ithaca 9000-P25 is also known as Transact Ithaca	ITH-9000-P25	or 9000P25	.